Our Assault M-10 MID AIR SHOCKS are designed and calibrated to slip right into your existing M-10 as an upgrade in ride performance and control over your existing coil over shock absorber. If you are in the market for a replacement for a tired/worn out M-10 FOX or RydeFX shock absorbers, this will be an excellent choice due to the improved ride characteristics it delivers. These shocks feature our machined from billet piston and eyes, super tough shock hard plating of the shock tubes and shafts. These coatings refuse to peel ….they are tough…tough….tough. Our tough RBC bushings close out the package on both end. These are the lightest shocks available and easy to adjust. The Assault M-10 Mid AIR Shock is designed to resist front arm bottoming while still giving you the unmatched performance and ride quality that TeamFAST’s products have delivered over the years. This shock also saves you in weight along with gaining riding comfort and the ability to ride through the bumps, not roll over them. The ride of rubber air-springs is flatly superior in comparison to any of its competition. Our experience with air systems over the past several years has taught us that this technology sets the new standard in ride speed, control and comfort in the snowmobile industry. In standard shocks, even with the latest improvements in shaft scraper technologies, shock performance erodes when ice/water get past the scraper/seals into the shock oil. With our Assault Air shock, the seal heads are isolated beneath the air spring; they are shielded 100% from snow and ice. This totally eliminates water ingestion providing huge increases in mileage between servicing. 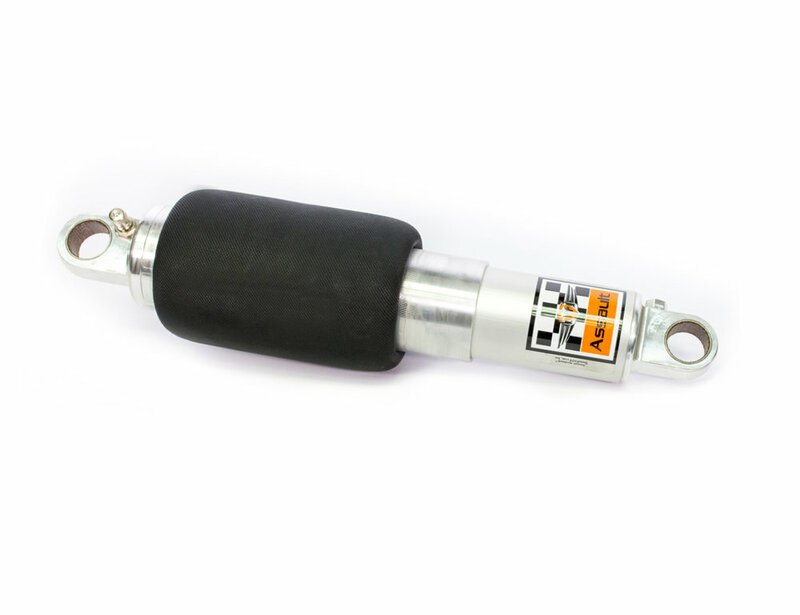 This is something that will save you money over time and allow you to stay out and ride with optimal performance from your shocks instead of having your shocks rebuilt mid-season. Assault air shocks can be ridden at speed through trail chop and the largest bumps on your trip while maintaining speed, control, and comfort. Assault systems cover a wide range of rider weights and feature easy adjustment. They eliminate the need to swap springs or change shock valves when large change is needed. Simply adjust the air pressure to match your weight/riding style and you’ll have the broadest control and comfort range available on the market. The rubber springs remain more compliant with large changes compared to coil over springs or small air chambers found on our competitor’s shocks. Includes the new Limiter Tie Down kit which provides you with quick and easy limiter adjustments.